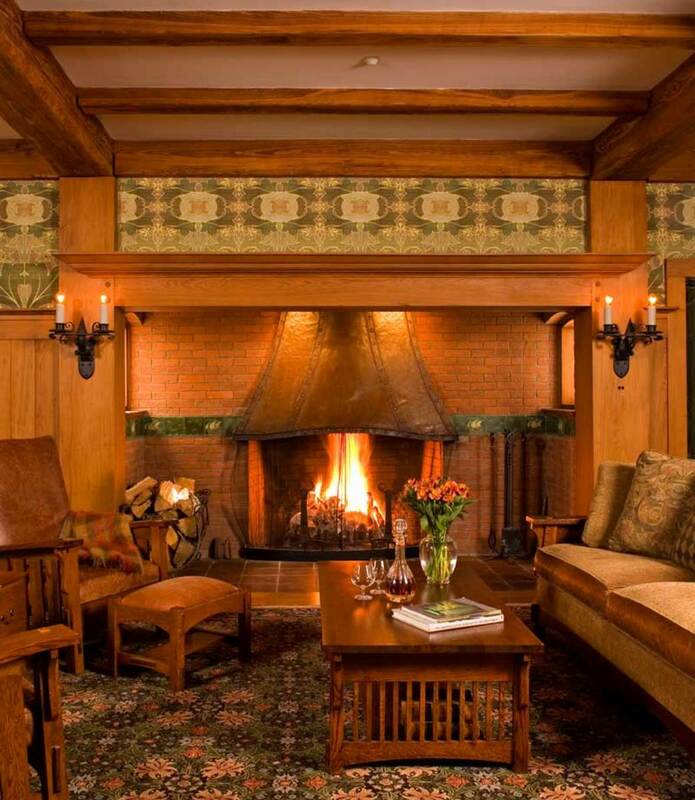 A graceful copper hood caps the living-room fireplace in a 1901 New Hampshire house with an original Arts & Crafts interior. 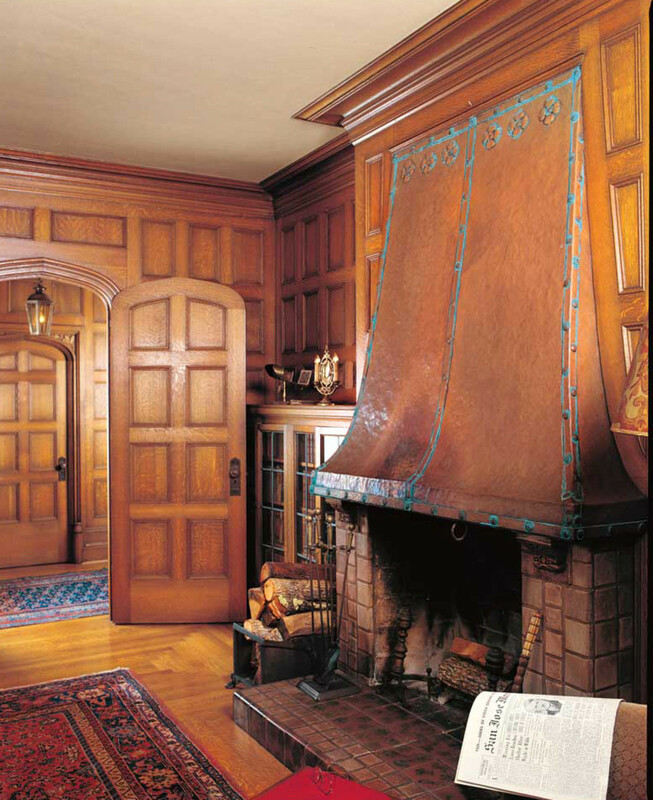 Copper (and other metal) hoods showed up in other homes of the period, including those by Greene & Greene. 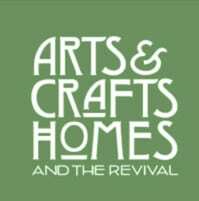 Some were quite simple, others done in sculpted or elongated forms, still others embossed with designs or, famously, those mottoes at Craftsman Farms. Metal ventilating hoods in the kitchen were more utilitarian. 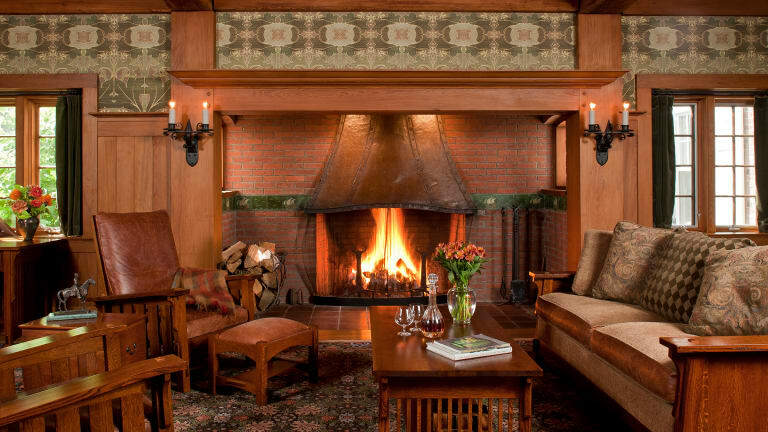 Coal- and wood-burning stoves were hot and smoky, and may have had a no-nonsense, black-painted hood formed in sheet metal, perhaps embellished with nickel-plated corners. 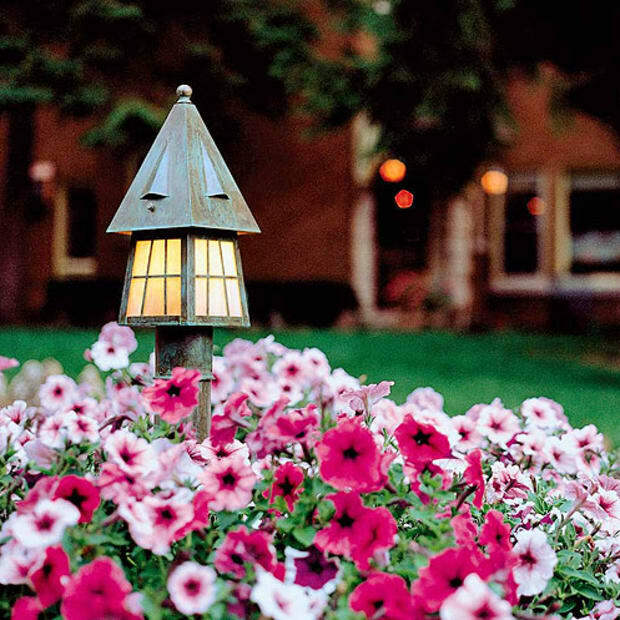 The hood passively vented to the outdoors with a hand-operated flue. (Today’s hoods, of course, hide mechanical ventilation.) In the 1920s, “deluxe” gas ranges had a hood built in as a canopy over the burners, with a 6-inch pipe connected to the flue. 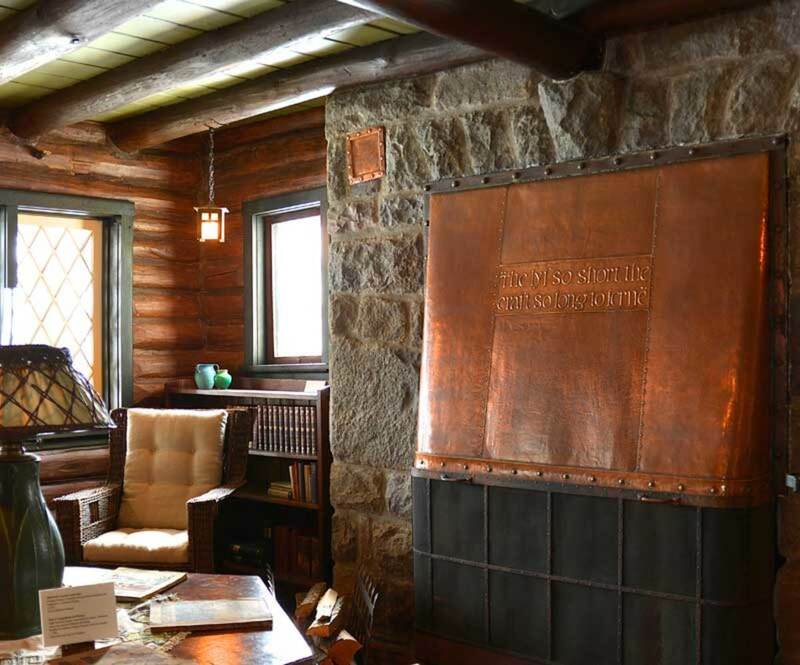 More recently, as our kitchens have come to be the symbolic hearth and heart of the home, exquisitely crafted metal hoods are found here, too. 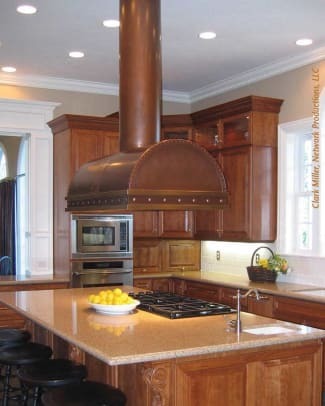 Copper, bronze, and steel are used to create artistic hoods for both fireplaces and kitchen ranges. 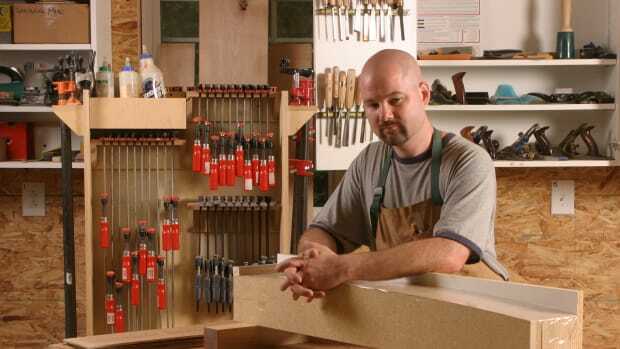 Most hoods are concave, or taper gracefully from bottom to top. 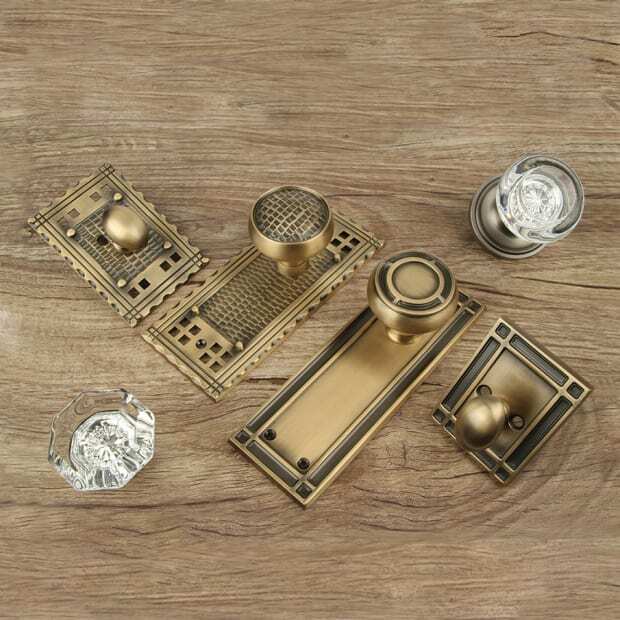 Heavily forged, exposed metal strapwork, often in a contrasting metal, along with rivets, emphasize the handcrafted appeal. 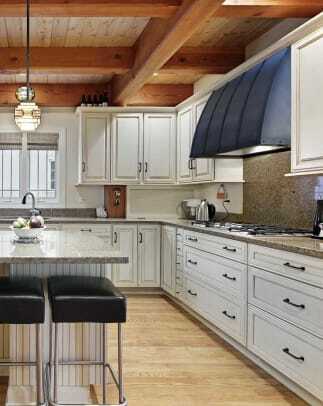 Still, Joseph Mross of Archive Designs says we should avoid the temptation to over-embellish a range hood, in keeping with the Arts & Crafts tenet of utilitarian beauty. Choosing a range hood requires some thought. Low hoods vent efficiently and are attractive focal points, but too low is impractical: you’ll hit your head trying to see into the pots. 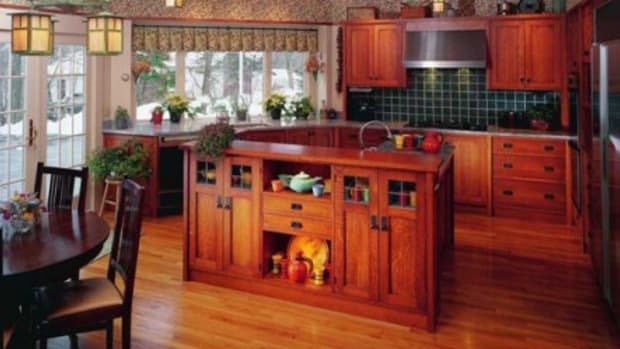 Experts recommend a height of at least 18" over the cooktop for electric ranges, 20" to 24" for gas ranges. 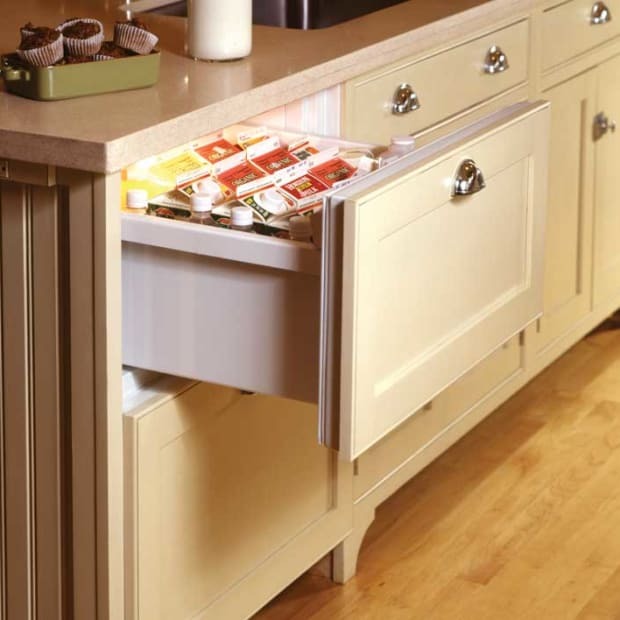 Try to extend at least 3" on either side of the range top, to prevent scorching surrounding cabinets. 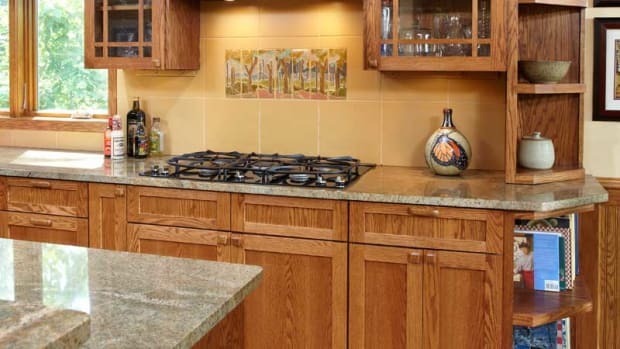 For standard countertops, a hood depth of 20" or more is recommended, with at least 27" for hoods with more powerful fans. If you can avoid it, do not place cooktop and range hood within 3&apos; of an open window, as the hood will draw outside air in and interfere with proper functioning. 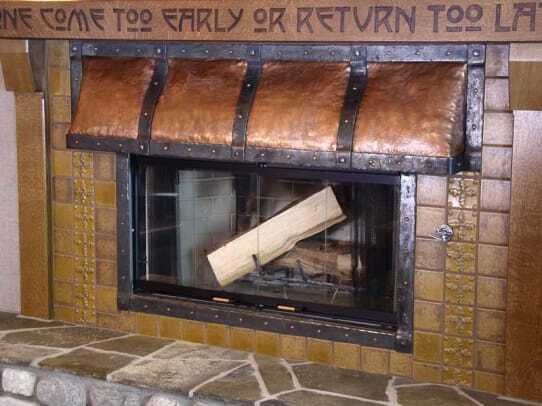 If you intend to use copper for a hood, consider upkeep. 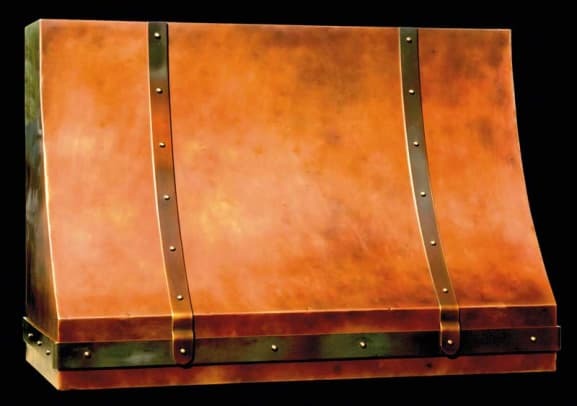 First of all, be sure it is made of 14-gauge or heavier copper. According to Danielle and Jason Fannin of the Metal Peddler, anything less cannot be welded properly and will dent and ripple. Danielle says you should discuss the finish on the copper with your fabricator. 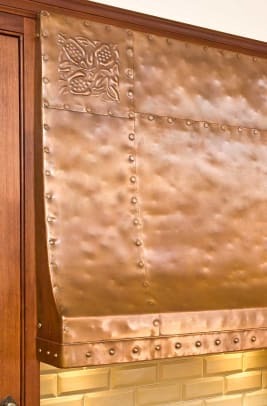 Unsealed copper requires regular polishing and waxing. Also, have your contractor determine venting needs and communicate the specs for the blower unit and ductwork with the hood fabricator before the hood is made. What does a fine metal hood cost? 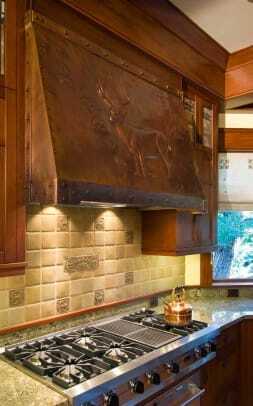 Custom copper hoods usually start around $2,500, and easily run several times more than that depending on their size and detailing. Installation cost, too, is affected by height, mounting, obstructions, and, of course, the ventilation mechanics. Ventilating range hoods consist of the skirt or capture panel, which traps rising fumes and gases; a grease trap; and a fan or blower to vent the fumes. It’s preferable that the hood is ducted to the outdoors. (Ductless hoods—which recirculate the air through a filter, usually with activated charcoal, before returning it to the kitchen—are not as efficient, as they don’t remove heat or humidity. Ductless hoods are a last resort.) Ventilation is critical. A centrifugal (or squirrel cage) blower that drives air upward is recommended, as this type is more efficient and quieter than air ring or rotary models. The ducting requires some thought, too: Keep in mind that longer runs and 90-degree bends will cause blowback resistance, buffeting, and increased noise levels. Experts say to avoid flexible ducting, as it will cause increased buffeting and noise.